This blog has been superseded with an updated version – Top 50 largest cities and towns in Australia by population. 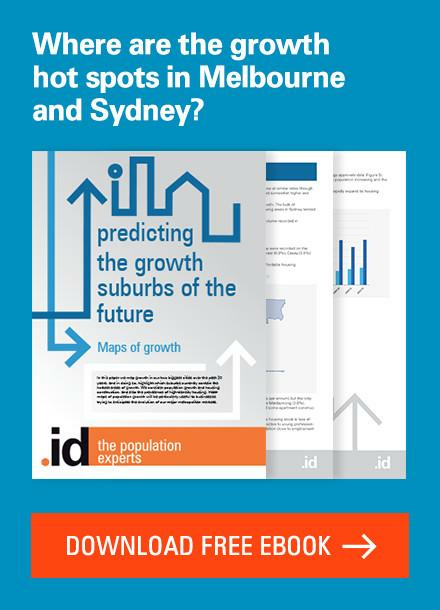 For more up to date population and population forecasts for NSW, read our blog on the Top 20 fastest growing suburbs in NSW. Talking about the characteristics of the population is what we do best at .id. However, the most basic demographic question of all is just “What is our population?”. With the recent release of Regional Population Growth (3218.0) by the ABS I just did a quick ranking to see what the biggest cities in Australia are. Pretty straightforward, but always interesting. Everyone wants to know where their area ranks. While Sydney and Melbourne are by far the two biggest cities, some of the smaller state capitals are eclipsed in population by some of the larger regional centres. Here is the official list of the top 33 centres for 2010-11. Why 33? The list includes all centres down to 50,000 population. Note that the boundaries used for this list include the main and outlying urban areas of the town or city, not necessarily based on local government boundaries. For example, the LGAs of Wagga Wagga and Bendigo have larger populations than the centres as listed here, while Albury-Wodonga’s definition extends beyond the LGA to encompass a wider district. The two largest cities account for 39% of all the nation’s population. The five largest make up 61%. Of the list of centres over 50,000, 11 are (all or part) in Queensland, while only 8 are (all or part) in NSW (to be fair, the next 4, just under 50,000 are all in NSW!). Though a state capital, Hobart sits well behind the non-capital cities of Gold Coast, Sunshine Coast, Newcastle and Wollongong, as our 11th largest city. The Gold Coast, just a few scattered coastal villages prior to 1960, is now Australia’s 6th largest city. As recently as 1980, Perth was a smaller city than Adelaide, but it now has a population more than 500,000 higher (43% higher). Western Australia only has 3 centres over the 50,000 mark, and one of those, Mandurah, is about to be subsumed into Greater Perth under the new geographic classification. 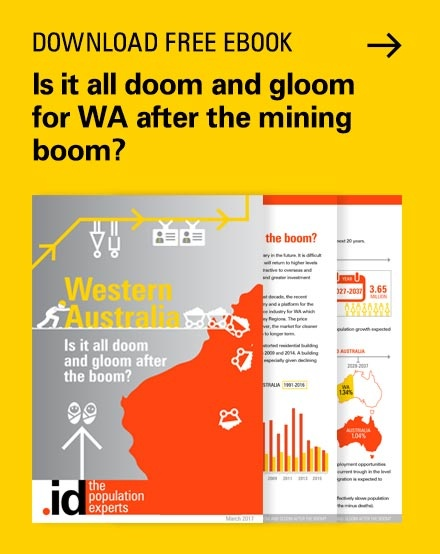 South Australia and the Northern Territory each have just one entry in the list, Adelaide and Darwin (SA’s second largest centre, Mount Gambier, only has 26,000 people). Always in competition, Ballarat and Bendigo are next to each other on the list, with Ballarat still having a slightly higher population (the Local Government Area of Greater Bendigo has a higher population but the outer parts are excluded from the official urban area). There is also a strong rivalry between Launceston and Hobart, but Hobart has a much larger population. Three of these centres cross state borders. So where does your area sit? 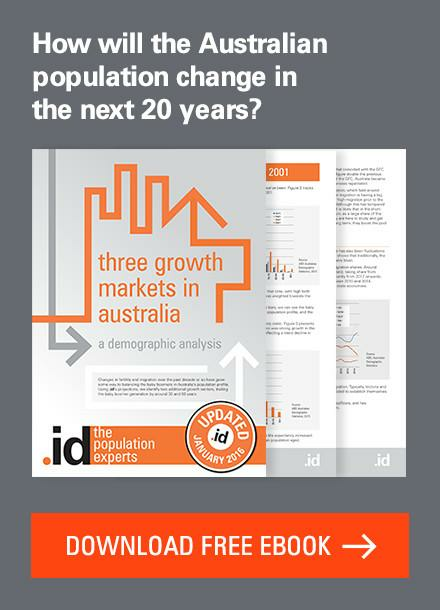 Current Estimated Resident Populations have now been updated on profile.id and economy.id sites, so you can check out the most up-to-date population for your LGA right now at .id’s demographic resource centre. The official list of the top 33 centres for the next 4 months until the ABS revise them again…. Glad you explained about Why 33? I would have wondered. Also time I moved to Hobart, although Mt. Gambier sounds good and I can stay on the mainland!!! Interesting. Hobart goes for quality over quantity! I note that Burnie and Devonport are put together in this list. They’re obviously separate geographically, but do they often get put together for statistical purposes? I’m not sure why they get put together. There are 3 main population regions in Tasmania, of which the North-West coast is one of them, so I guess it’s just putting that together. There isn’t a lot of distance between urban areas up there, but you’re right, they’re not continuous. Bathurst-Orange used to be combined similarly but is now split up (so that neither make the top 33). You’d need to ask ABS Geography. It seems that your site is more honest than most. Nevertheless, when is ths Toronto syndrome (adding in totally separate cities, Mississauga and Oshawa to boost its actual population) going to stop? We should be honest and allow Melbourne to pass Sydney gracefully, not allow Sydney to swallow every nearby town, the entire Blie Mountains towns and the Central Coast, simply to pretend that Sydney remains the largest city. If this myth is maintained, why can’t Melbourne swallow CLOSER populations such as Geelong and Ballarat? Doesn’t that follow? Commuters from the last named still go to work in metropolitan Melbourne. Good point – the definitions of these areas are based on labour markets, so sometimes they can seem a bit odd. Central Coast and Blue Mountains people – a significant % work within urban Sydney so they are included as part of that region. Another odd one though much smaller is Burnie-Devonport as one area in northern Tas – most would keep these separate. And in the latest geographic revision, Melbourne’s area has expanded to take in a lot of small towns as well (eg. Gisborne, Kinglake). Blue Mts and Central Coast are clearly geographically separate from Sydney with their own identities. It is nonsense to suggest that they should be included in Sydney’s population just because there is a sizable commuter population. I accept that a city can have a larger population than simply the contiguous area suggests, but surely the neighbouring cities and towns should be adjacent and part of a broader identifiable community. An obvious example is Newcastle where the 5 lower Hunter LGA’s of Newcastle, Lake Macquarie, Cessnock, Maitland and Port Stephens are close neighbours and even share suburbs with each other. Gosford and Wyong are no more part of Newcastle than they are part of Sydney even though they are as close or even closer to Newcastle than Sydney (Wyong’s northern suburbs are just 40km from Newcastle CBD). Actually the Blue Mountains are not only in the Sydney SD, most of the population is in the “Sydney urban centre” which is the contiguous urban area you refer to. Based on the Linge criteria developed in the 1960s, contiguous urban areas are included as a single centre if they have a continuous population of at least 200 people per square kilometre and outlying centres can be included if they have a gap of less than 3 km. Lapstone-Glenbrook joins to Penrith and all the centres out to Katoomba then meet this criterion. It is a single urban entity all the way. Also, 55% of Blue Mountains workers commute to other suburban parts of Sydney. Central Coast defnitely doesn’t have the continuous nature of the mountains, being separated by the Hawkesbury River and national parks. It’s a separate urban centre, but is included because around 35% of the workforce work in Sydney (if you look at Wyong though, there is definitely a movement towards Newcastle as well). The Newcastle statistical district (as used for the population in this list) does include the 5 LGAs you mentioned. 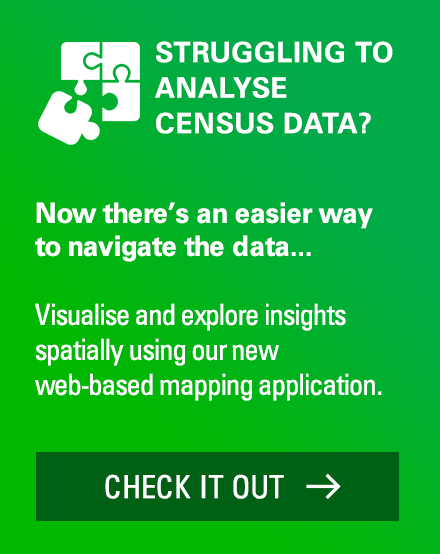 With the move to the new geography standard, the ABS is less constrained by LGAs when defining statistical divisions, but has left the Sydney region relatively unchanged. 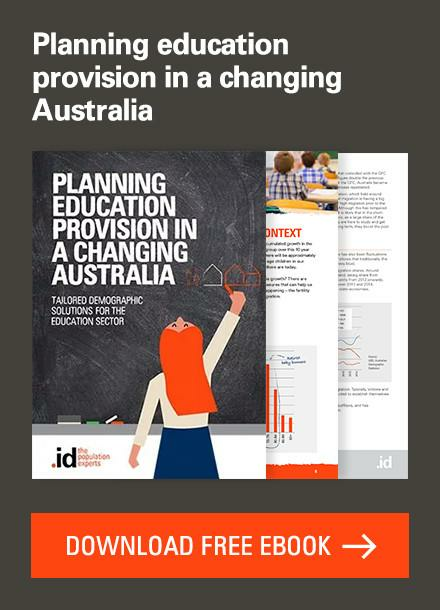 This puts the Education Black Hole with it’s population of 91,733 (across the middle of the municipalities of Draebin and Mooreland in Melbourne) as being almost the size of the 20th biggest city in Australia (Bendigo) and yet has not one open entry 7-12 high school! 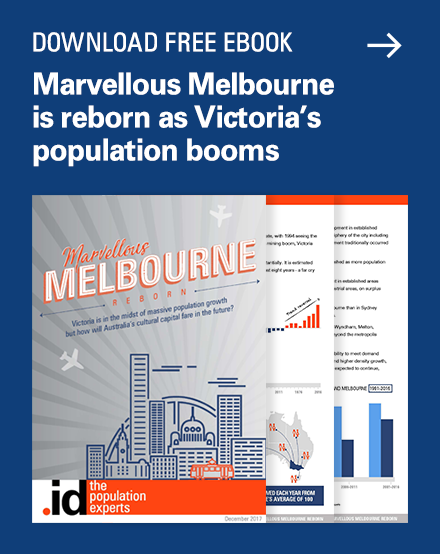 Interestingly the Age newspaper recently reported that independant planning advice stated the 60,000 new residents in the Fishermans Bend urban renewal project would warrant two new high schools. Good point – the reason is that Shoalhaven, though an incorporated City in NSW, has a spread out population that doesn’t constitute a single urban area, with wide gaps between the centres. In fact there are many towns and coastal villages strung out along over 100km of coastline and hinterland. Nowra-Bomaderry does form an urban area in this list, but comes in at number 39, with a population of 34,957. Where is Redland City in this list. We are a city, and are around the population of Darwin I believe. This list is not local govermment based -but based on the urban areas of centres. As such, Redland (along with Ipswich, Logan and Moreton Bay) is included as a part of the population of Brisbane. Why don’t you have Ipswich Queensland in your list? Ipswich is considered part of the Greater Brisbane urban area, so it’s not treated separately. Where is the Central Coast of this population list. At over 300,000, we should be in the top 12. By your counting is Logan City Q. (which has nearly 300,000 people) being counted as a part of Brisbane? I don’t find it surprising that Sydney tops this list. There’s just so much opportunity here, that’s why I moved to Sydney all those years ago. The fact that it continues to stay on top just goes to show how many other people all still have the same idea. Got to ask where Lake Macquarie is on the list? Not that I really care, just putting it out there. By this measure, Lake Macquarie is part of the Newcastle urban area, so is included as part of the Newcastle population. Lake Macquarie is local government area, and a part of Newcastles metropolitan population. It is right there at number 7. You guys need to get better data instead of using wikipedia. You also should measure each city the same!!! The ABS defines the boundaries of cities using a combination of built-up areas, and labour market regions. They may not seem obvious but there is a logic behind them. To “measure each city the same” is actually not so easy – drawing boundaries around areas is a science in itself, and you will always get people who don’t agree with where the boundary has been drawn. As far as Wikipedia, I’m not sure we used anything from Wikipedia in here. We do sometimes put links to Wikipedia in articles – it’s a great resource. I note that Penrith is not mentioned with a population of just over 200,000. II also note that that Gosford/ Central Coast has been left off the chart. 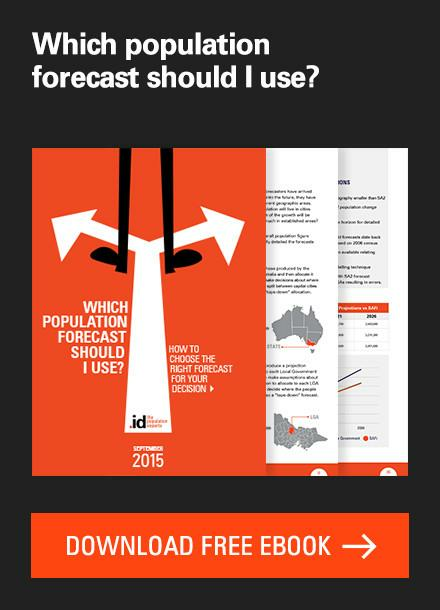 Penrith is now seen as a regional city and should not be includd in Sydney’ population graph. There are too many anomalies in the above figures. Penrith has been considered a part of metropolitan Sydney for many years now. It is completely contiguous with Sydney’s urban area and more than half the population leave the area to work in other parts of the metropolitan area. While 200,000 people is a lot, it is very much part of Greater Sydney. 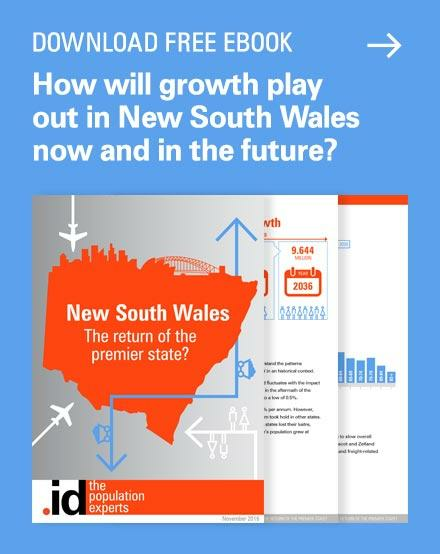 The Central Coast is more contentious due to a geographic barrier (Hawkesbury River) but due to similar labour force considerations, the ABS has regarded it as part of Sydney for at least the past decade. Hi Terry, Melton is only 40km from the Melbourne CBD and is generally considered part of Melbourne. It is a separate urban centre for the moment, but part of the Greater Melbourne area. Within the next 20 years it’s likely to join up with contiguous urban development to Melbourne anyway, with large areas of land around Rockbank earmarked for development. With our shrinking economy, and shifting population to the coastal fringes, these are our problems, and until addressed the problem just gets worst. Our PM, is of course, a man of enormous wealth, who has heeded the Trump message, and said he is will now listen to the average Australian. This, from his Point Piper ivory tower, whilst commuting in some air conditioned contraption to his ivory tower in Canberra. That is not where the people are, Mr. Turnbull. They are somewhere else.